Permanent Tape Closer Bags from Excellent Poly are made with self-seal glue, also known as self-seal tape, that is on its lip for easy closure and a one-time seal. Perm Tape Closer Bags are commonly used as mailer bags, apparel bags, product bags to be shipped, or to hold any products that need a bag that stays closed permanently. 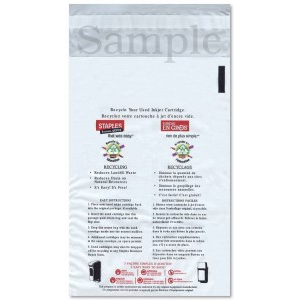 These Lip and Tape Bags or Self-Seal Bags are available in virtually any size, print colors, or thickness depending on your packaging needs. This video shows Permanent Seal Bags being custom printed and die cut for a handles during the manufacturing process. This bag has a multi-color process print. It is being sealed and separated into individual bags. They are then placed in cartons and ready to be shipped and used.